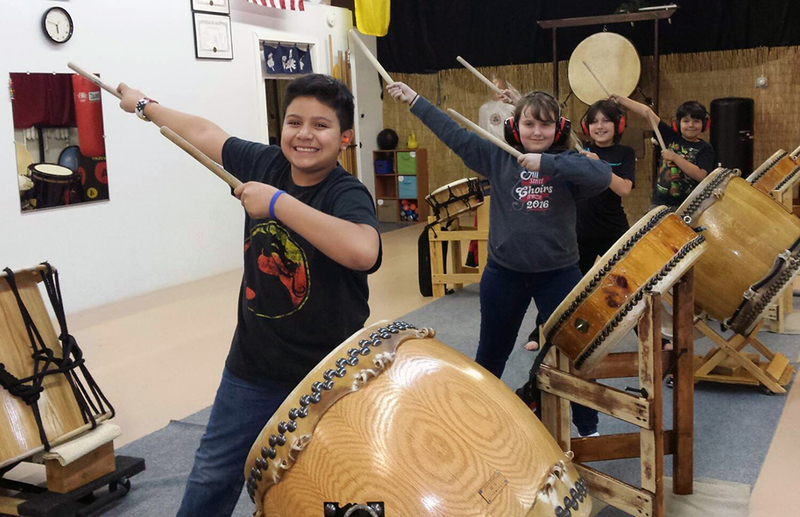 Taiko is great for creative expression, learning group cooperation, improving physical fitness, improving self confidence, improving hand eye coordination, de-stressing and cultural awareness. And of course just to have fun! Taiko is also music. Practice drums are provided for class use. Classes are fun and energetic! Video of BK Taiko group perfoming. 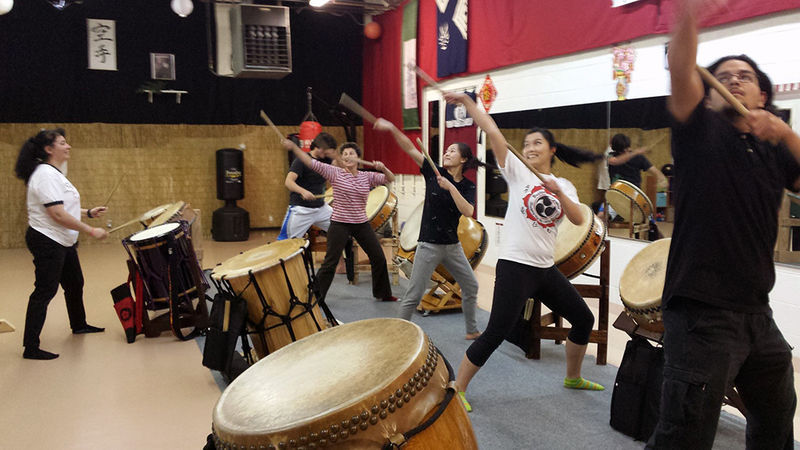 This is a onetime class to give individuals a chance to try taiko. 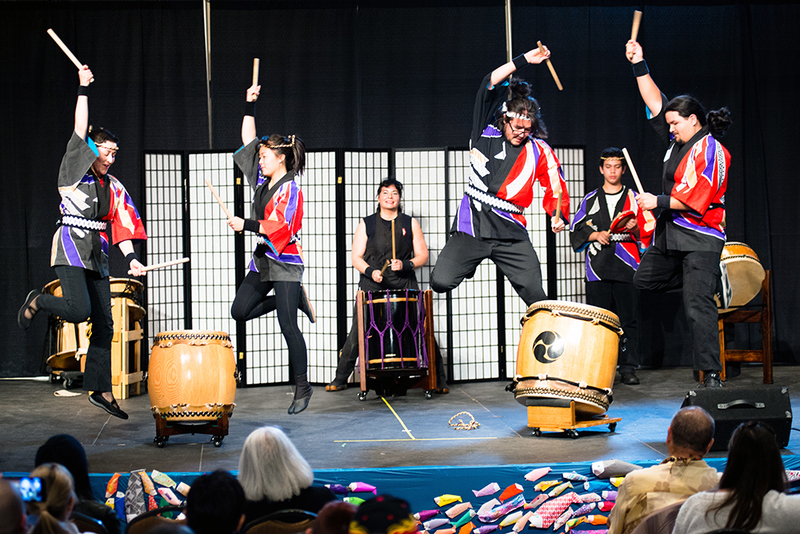 Students will learn brief taiko history, terminology, and taiko technique. Offered periodically throughout the year. Contact us for the next class date. Once students from the Beginning Group are proficient in the basics and beginning numbers they will move into the Intermediate/Community Group. Intermediate/Community Group is for two types of drummers: those who do not wish to perform but want to enjoy the art of drumming; and a transition Group for those who wish to try out for the Performing Group. Interested in Performance & Lecture Demonstrations? 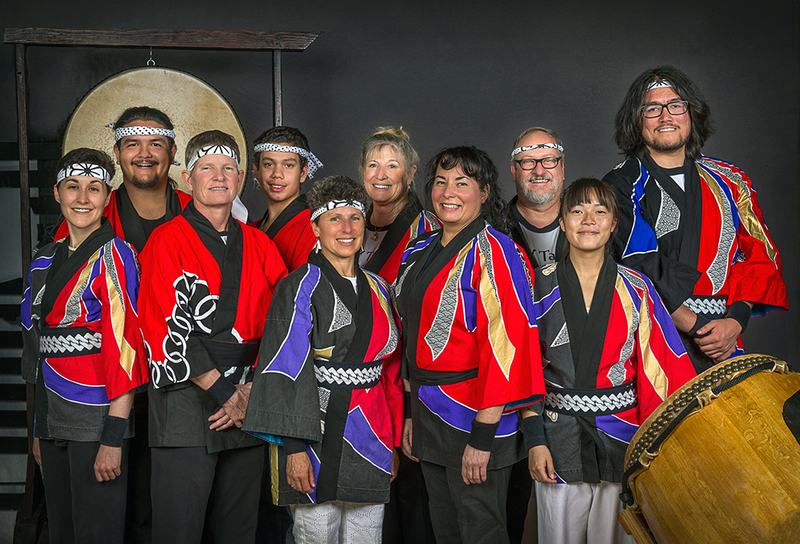 This Group will review basics, drumming drills, learn more numbers than the Beginning Group, and do some informal drum circle improvised drumming. There will be an annual performance recital. For more information about any class or group please contact us. For more information about the history of taiko, visit Wikipedia (opens a new window).